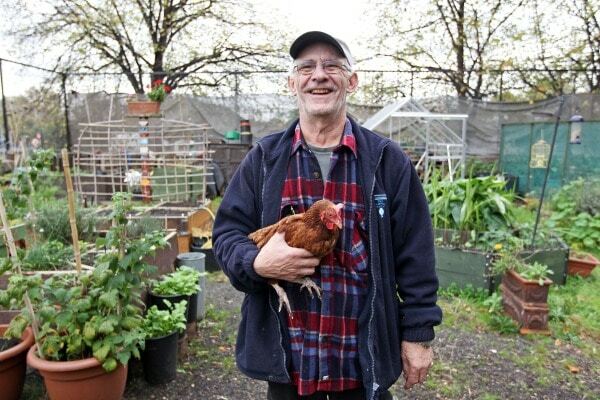 A couple of derelict tennis courts backing on to the busy A12 in Poplar are now home to a thriving community garden, 10 ex-battery chickens and the 2014 Green Tenant of the Year. Tom Gleed and Keith Mills took the space on four years ago. They salvaged materials and built a chicken coop that cost a total of £3.50 (retail value £4,000!). The pair, together with local residents, created raised beds that green fingered locals rent out for £12 a year. There’s also an area for beehives and a pond as well as a traditional Vietnamese cooking stove made from reused materials. 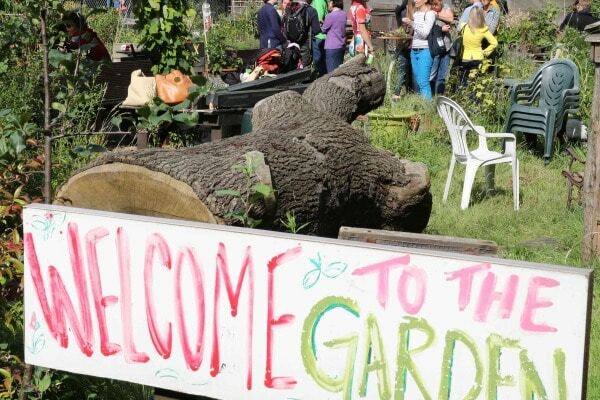 Tom and Keith host school trips and environmental groups who come to see how community gardening is done. They’ve just taken on two young apprentices who are learning how to keep the garden and the chickens healthy.